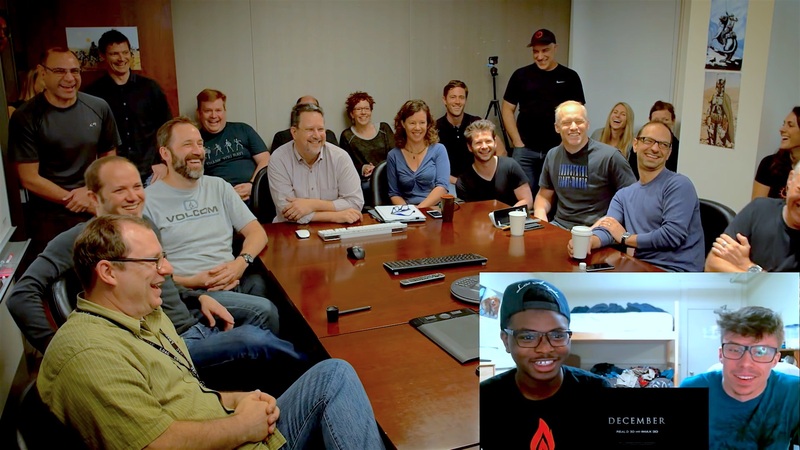 Yes, it’s the CGI team from Industrial Light & Magic, watching reaction videos to the [trailer for *Rogue One*](http://www.starwars.com/video/rogue-one-a-star-wars-story-official-teaser-trailer), the forthcoming *Star Wars* movie. In a month where we’ve seen so damn many examples of the negative impact of social media, it’s nice to see a more positive one. And while, yes, this is marketing, it’s also an example of communication. Fans of Star Wars who have gone into professional filming are reacting to the reactions of fans who makes YouTube videos. It’s sort of a meta-reaction video. More than that, it’s a circle of communication between the creators and their audience that allows a degree of interplay. We’ve reached an interesting point in our culture where fans of the media of the 70s and 80s are now professionals in their own right, and able to bring both their fandom and their skills to bear on old franchises. The revival of Doctor Who under the acclaimed Russell T. Davies (a Who uber-fan) a decade ago is a classic example of that. At leat two of the lead actors – David Tennant and Peter Capaldi – are fans, too. The rebirth of the Star Wars franchise last year is another example. However, there’s a really careful line to walk between being a fan and being a professional. You don’t just want to make something for the fans – you want to make it for everybody. But equally, you need to understand what it was about these narratives that made people fans in the first place. And it’s easy within your fannish professional bubble to make the wrong calls. At least here we’re seeing people take some form of sanity check on their own work.